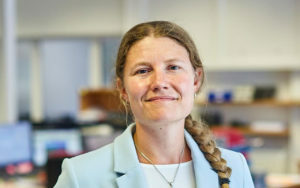 Freija is a Chartered UK Patent Attorney and European Patent Attorney, with an MA honours degree in natural sciences from Cambridge University. She also completed a PhD at Cambridge, with her research focusing on novel modes of action of antibacterial agents. Freija began her career with another firm of patent attorneys and joined Greaves Brewster LLP in 2011. Her main fields of expertise are synthetic organic chemistry and pharmaceuticals, with significant experience in prosecuting such cases before the EPO. She takes particular satisfaction in guiding complicated pharmaceutical cases (and their applicants!) through the thorny European “added matter” provisions. Freija also has experience in the fields of polymer chemistry, cosmetics, waste processing, chemical deposition techniques, biomass production, and food and drink compositions, as well as mechanical inventions. She has a strong interest in helping to address the world’s environmental problems through commercially sound initiatives, and especially enjoys working in ‘green technology’ areas. She speaks English, Dutch and German.